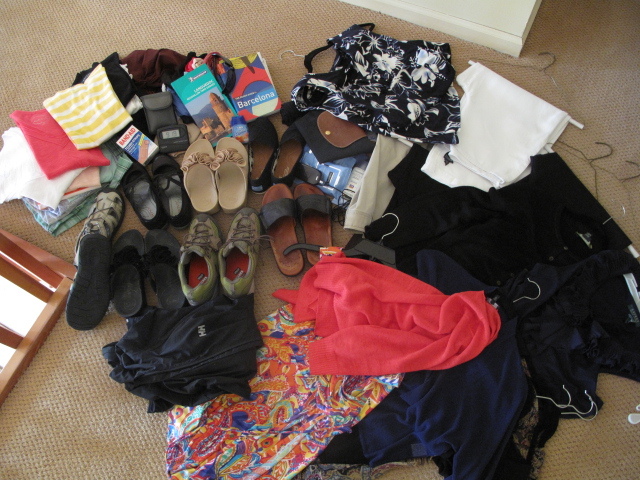 First, the 6-weeks-into-1-carry-on-challenge…WHY? you may ask. INFINITELY easier…off the plane, no waiting an hour for luggage (that may or may not arrive), easier up and down steps (old European buildings…no elevators), and much easier to keep track of. While we have been traveling with a ‘carry-on only’ rule for years, the longest we have been tested is 3 weeks. We are going for Olympic Gold with 6 weeks. First challenge…do we go for Gold with our usual 19 inch bag, or cave with the 22 inch bag? 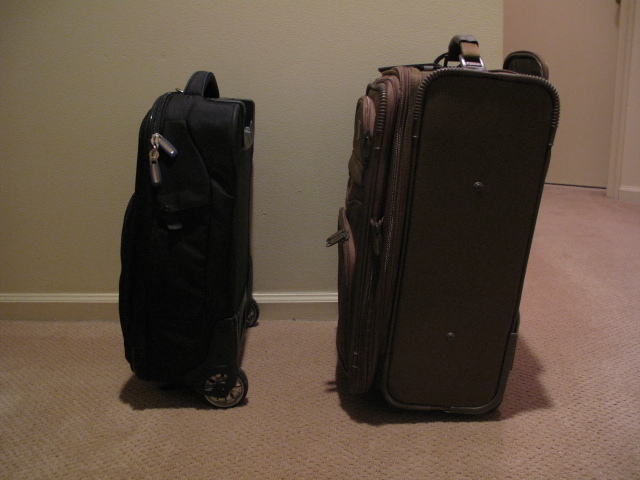 As you can see, the bag on the left is definitely smaller and it is much lighter, as well. Wow! Big difference. 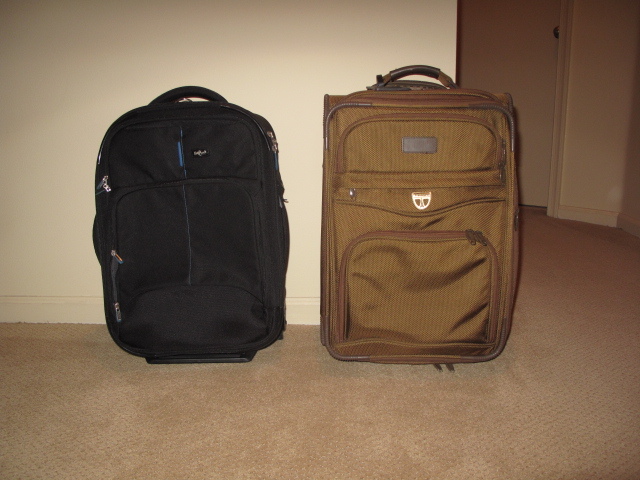 (And I use the one on the left to travel for 2 weeks in the winter! (think heavy sweaters and boots) Which will it be? Rule #9- Packing light is part art and part science…art is being creative with colors (black and navy? maybe); science is the physics of stuffing it all in the case. 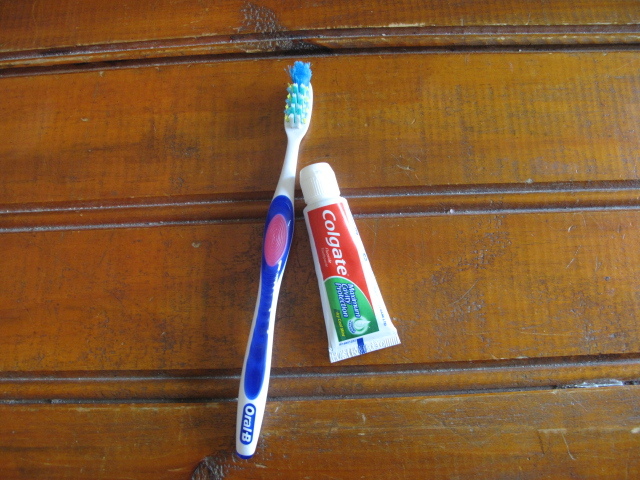 I feel really confident with a small, essentials-only start. Not looking good…hiking clothes missing and sweaters, too. Big rule breaker here, also…no white pants! And 7 pairs of shoes? Results? Getting the Silver since I had to use the bigger carry-on. Good news, though, with space to spare (!! ), I plan on doing my part to help the troubled Spanish economy…it’s the least I can do. Ok, it looks like a good day to go to Barcelona. Adios, amigos. Welcome to my first blog post in my new bloggy world! (Just trying to get used to the word) I’ve been sitting on this post for so long the original title was, ‘less than 2 months to…’ so I decided to take the advice I used to give my kids at the edge of the swimming pool…just jump in! Yea! Still a little cold and scary, but here I am! In less than a week we will be leaving on a 6-week trip to the Pyrenees and environs. 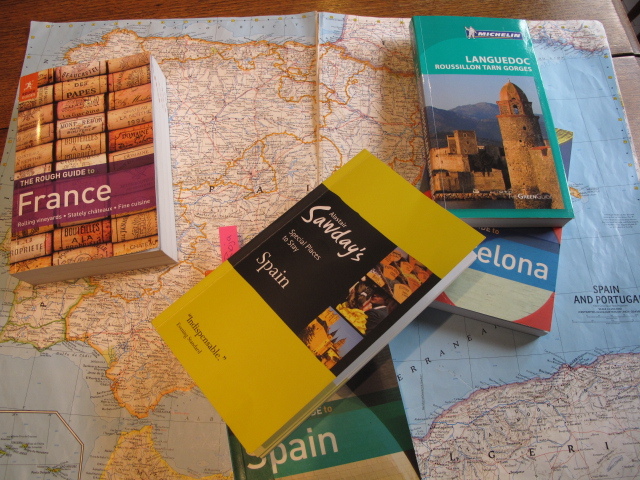 Although I couldn’t have started packing then, 6 months ago, when we started to think seriously about a long-term break, would have been a good time to start the Spanish. Our landing spot is Barcelona, Spain…the closest gateway to the Spanish/French Pyrenees. Regionalism is alive and well in Spain and that is just fine with us and our quest for local foods and time-honored cultures. We will be visiting only a few of the autonomies (autonomous regions) and all in the north.